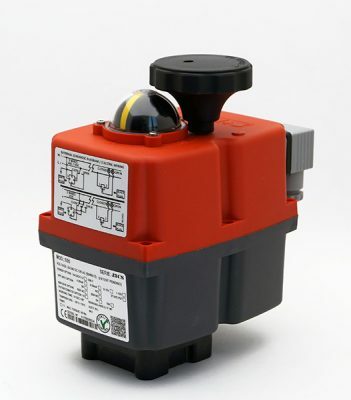 The J3CS is Multi-voltage and reversible IP67 on-off quarter turn smart electric actuator. 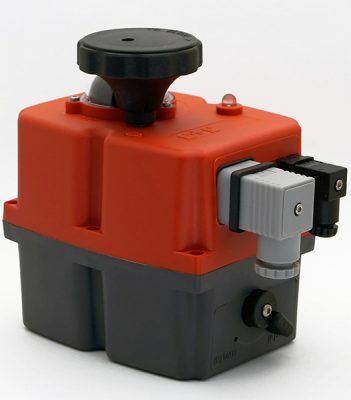 Includes a manual override, a heater, a torque limiter, as well as a LED status light, external Din plug connection and a dome visual indicator. The F03, F04 & F05 x 14mm female star mounting is power open, power close, and stays put on external power failure, also is designed to have power on at all times. The Max break torque 25 Nm and the Max run and reseat torque 20 Nm, while the Max ambient temp range -20 to +70C. The series J3CS S20 ranges from 24 VDC / VAC to 240 VDC / VAC with only one actuator. The series J3CS B20 works to 12 VAC / VDC, it is therefore a quarter turn actuator with a Total multi voltage with a maximum torque of 25 Nm. Its electronic board is divided into two parts, including a power supply and a common control for all models. 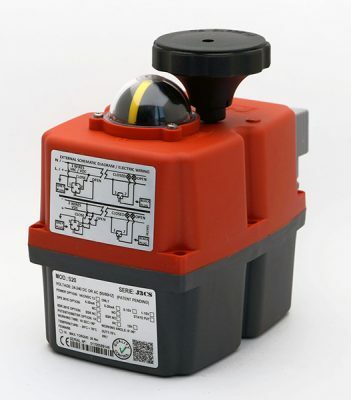 Electronic control torque (ETL) are common to those of the previous series J3C. The new DPS 2017 with an encoder system is designed for this new range. As is the new BSR 2017 system, which is designed exclusively for J3CS range.